Traveling to Iceland has, for many, become the ultimate adventure and going on a road trip is a popular way to explore the country. While following the ring road could be called the classic Iceland road trip going out of that route can have a significant advantage. Some places you can easily reach, and for some, you might need bigger vehicles or even guidance. This time I want to tell you about Mt. Askja and the East Iceland Highlands you can visit on the way there. This is a place you can reach with larger 4×4 SUVs. The ride can, however, be quite rough for any car that doesn’t have the Icelandic Super Jeep conversion. Making a journey into the highlands and to Mt. Askja is a real Iceland adventure and a fantastic experience. Out there in the highlands, you feel like you are a real explorer, trailing along rough roads across the deserted highlands and it’s “moonlike” landscape. 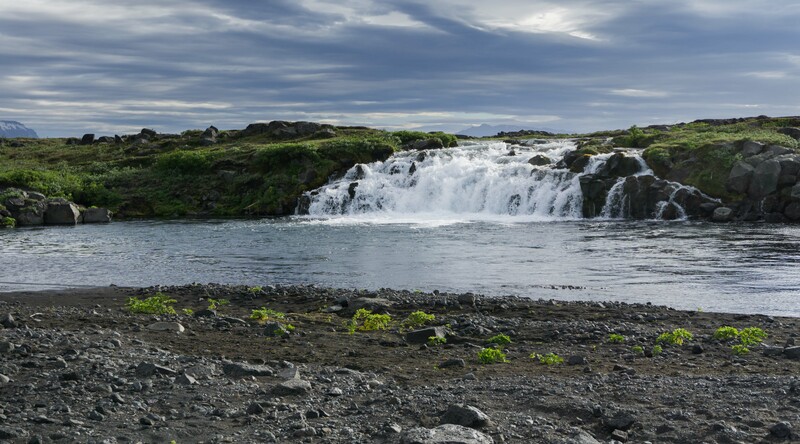 If you know where to look and have time to do some walking you can find many lesser-known waterfalls, canyons, warm water springs, craters, lava fields, stunning mountains and many other incredible sights. As an example, you can swim in the crater Víti on top of Mt. Askja. But you better know how to swim as the crater is several hundred meters deep. Next to Mt. Askja you can find Drekagil canyon or “Dragon Canyon” where you might just spot a dragon if you look close enough and apply a little imagination like we spoke about on a previous blog. Drekagil “Dragon Canyon” Can you see the Dragon? While on your way to or from Askja you will see Mt. Herðubreið which Icelander’s nickname “The Queen of Icelandic mountains”. And at the roost of the mountain, there is an actual oasis in midst of the highland desert. Our recommendation for visiting Askja and the highlands is that doing this route in one day can be exhausting so consider camping. Also, driving this route in a small car is not comfortable and not so safe either, so don’t choose the smallest 4×4 you can find. For an even more comfort, safety, and reach consider taking a professional tour into the area. They will also be able to show you places on the way that you wouldn’t have found on your own. Whatever way you choose to travel in the highlands it is guaranteed to be an amazing Iceland adventure. If you are looking to explore the highlands and prefer a guided experience you can join our Wonders of the Wilderness tour or request a tailor-made tour.